Debian Project is an association of individuals who have made common cause to create a free operating system. This operating system is called Debian GNU/Linux, or simply Debian for short. Debian systems currently use the Linux kernel. 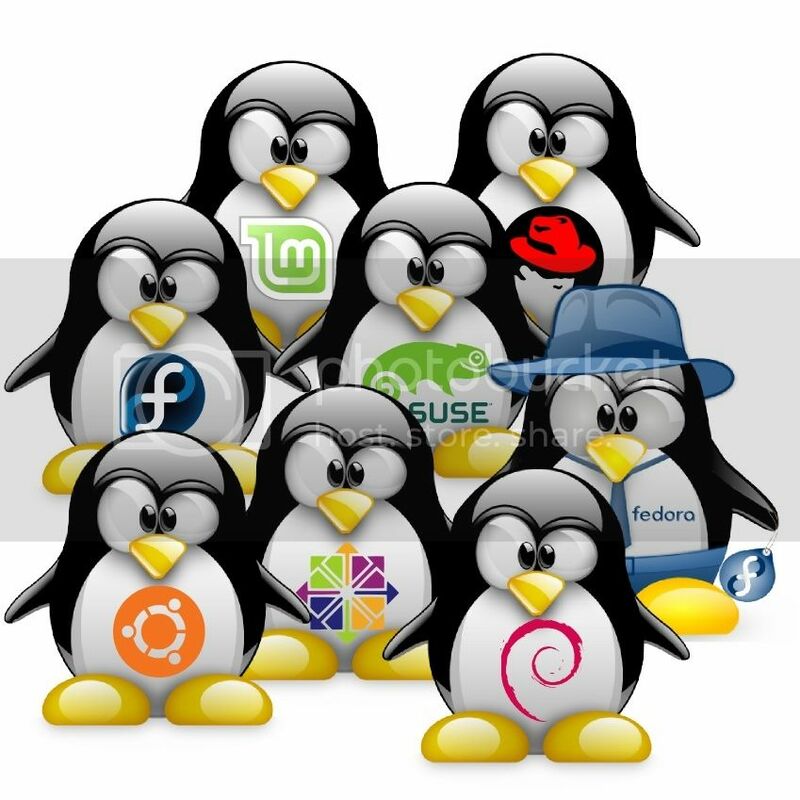 Linux is a completely free piece of software started by Linus Torvalds and supported by thousands of programmers worldwide. Of course, the thing that people want is application software: programs to help them get what they want to do done, from editing documents to running a business to playing games to writing more software. Debian comes with over 50,000 packages (precompiled software that is bundled up in a nice format for easy installation on your machine) - all of it free. It's a bit like a tower. At the base is the kernel. On top of that are all the basic tools. Next is all the software that you run on the computer. At the top of the tower is Debian -- carefully organizing and fitting everything so it all works together. openSUSE project is a community program sponsored by Novell. Promoting the use of Linux everywhere, this program provides free, easy access to openSUSE, a complete Linux distribution. The openSUSE project has three main goals: make openSUSE the easiest Linux for anyone to obtain and the most widely used Linux distribution; leverage open source collaboration to make openSUSE the world's most usable Linux distribution and desktop environment for new and experienced Linux users; dramatically simplify and open the development and packaging processes to make openSUSE the platform of choice for Linux developers and software vendors. I have made your Thread a 'Sticky', so it will help others..
Hopefully I will have time, after Christmas,,, ,,, to read and learn more from any further posts/UPDATES you may make on LINUX. your own Apache web server, and how to change your system's configuration (even if you need to find what you're looking for) as just a couple of the many examples of things you will be able to do once you learn these foundational commands. This course isn't full of filler content, and it won't take up all your time. It's right to the point giving you the information you need to get things done. Learn Linux TODAY! With about 70 minutes of lessons you will be able to walk Linux, and then later run. You should take this course if you know what you want to do and know that you're typing commands but don't have the time right now to learn every little detail of the system. This course is the fastest way for a savvy computer user to get up to speed doing what they need to do in Linux! The lessons are structured under the main idea of what you're going to be doing with the commands. Life time access to contents and course updates, which will be updated according to student feedback and needs. 30 day money back guarantee. Note: this is in an ISO format to burn to a cd etc. So you have got your Linux machine set up now, or are considering it? Lets have a look at what some of the experts say and take some heed...........it may save you hours of frustration. We have all got to learn to walk before we can run! There are 10 mistakes that you definitely want to avoid, for the sake of the health of your system. Because they may be fatal. To make a comparison with jet planes: it all depends on how you want to use your computer. If (for the time being?) the battle proven reliability of the F-18 is what you're looking for, then you can benefit from the warnings below. 1. Software from PPA's (third-party repositories) is untested in your version of Linux Mint or Ubuntu, and may damage the stability, the reliability and even the security of your system. Therefore only use a PPA when you really (really!) have no acceptable alternative. Or when you're a tester for a particular piece of software (which you should only be doing on a non-essential test computer). PPA's are a mixed blessing, to say the least. If used wisely and very restrictively, PPA's can occasionally be of great help. But used carelessly, they're a pest that plagues the earth. Have you already enabled PPA's and do you want to get rid of them? Then you can recreate a clean software sources list like this. Files with the extension .deb are separate installers, just like .exe installers for Windows. You can download debs from some websites. When you double-click them, they ask for your password and then they install themselves in your system. Only install those .deb files that you trust completely. When you're at all unsure about a .deb file, don't install it! These files are unchecked, unverified and may do damage to your system. They may even contain malware, like spyware and such. This happens in the real world: I know of at least one incident. Some years ago, malware (a trojan) was detected in a .deb file, that was available for download on the much visited website of gnome-look.org. 2. With sudo and gksudo you give yourself root permissions (administrator power). You should only do that for system administration applications and never for ordinary applications. Unnecessary use of sudo (and gksudo) can mess up your file and directory permissions, causing all kinds of weird malfunctions. When you launch an ordinary application with sudo (or gksudo), it creates files and directories that are the property of root, and not of you. 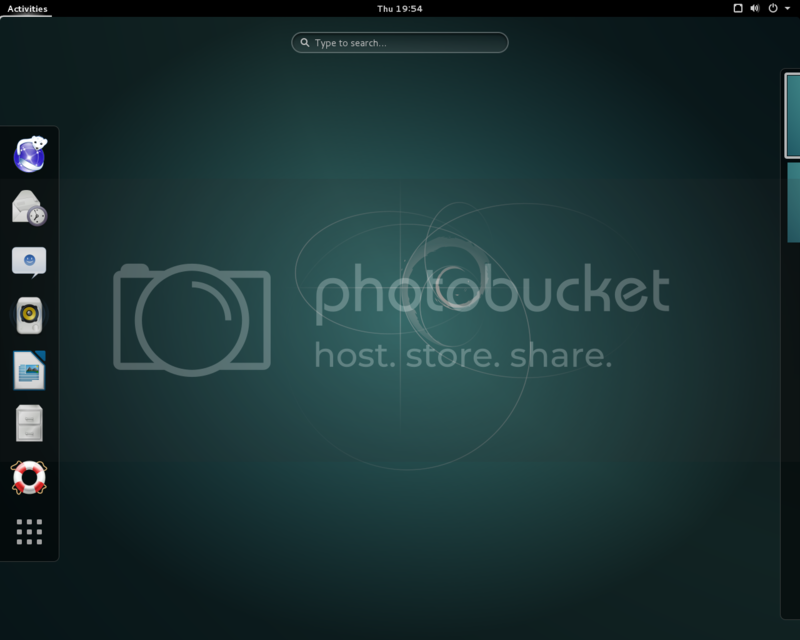 Plus it changes the ownership of some existing files to root. Never launch ordinary applications with sudo (or gksudo). It's unnecessary, it's dangerous and you run a big risk of messing up the permissions of your own files. 3.1. Firefox add-ons with malicious software: it has happened, in spite of the malware scanning efforts by Mozilla. Don't trust them blindly. This goes for Chromium/Chrome as well. And keep their number down anyway: don't turn Firefox and Chromium/Chrome into a Christmas tree. The more extensions you install, the slower your browser becomes. Furthermore, some add-ons may cause malfunctions in other add-ons, or even in the browser itself. 3.2. Applets and desklets can beautify your desktop and even add useful features. But they can cause problems. So keep their number down. The more desklets and applets you install, the slower your system becomes. What's more, some of them may cause malfunctions in each other or in the desktop itself. 4. With cleaning applications like Bleachbit, you easily destroy more than you want. You can't trust them, because before you know it, they remove too much and damage the system. Besides, they are useless. Linux hardly experiences any pollution. So cleaning is superfluous. You may at most win a gigabyte or so of disk space, at an unacceptably high risk of damage. Should you wish to clean up a bit anyway, then this is a safe way for Ubuntu and this is a safe way for Linux Mint. Defragmentation tools are even worse. Unfortunately, you can find some defrag tools in the "fringes" of the Linux ecosystem.... Don't use them! There's a huge risk that they either mess up your system beyond all repair, or cause massive loss of files. Defrag tools are very dangerous rubbish. Without any exception. What's more: Linux doesn't even need defragmentation. 5. An Ubuntu or a Linux Mint in which you install the full KDE desktop alongside the existing other desktop environment (Mate, Cinnamon, Unity, Xfce, LXDE or Gnome), becomes a hopelessly polluted mess. This pollution will decrease performance and may cause instability and malfunctions. Tip: when you install applications by means of Synaptic Package Manager, then you can check beforehand what a particular application needs as dependent files. There are desktop environments that share a lot "under the hood"; it's relatively safe to install those alongside each other. For example: Xfce (the desktop environment of Xubuntu) fits pretty nicely alongside the Gnome/Unity of Ubuntu and the Cinnamon or Mate of Linux Mint. But even then some pollution is inevitable... A system with a single desktop will always perform best. Have you made this mistake and do you wish to undo it? Then the best approach is unfortunately a clean re-installation. 5.1. Related to the "don't mix desktop environments" issue: it's not advisable to install a full-blown second file manager. 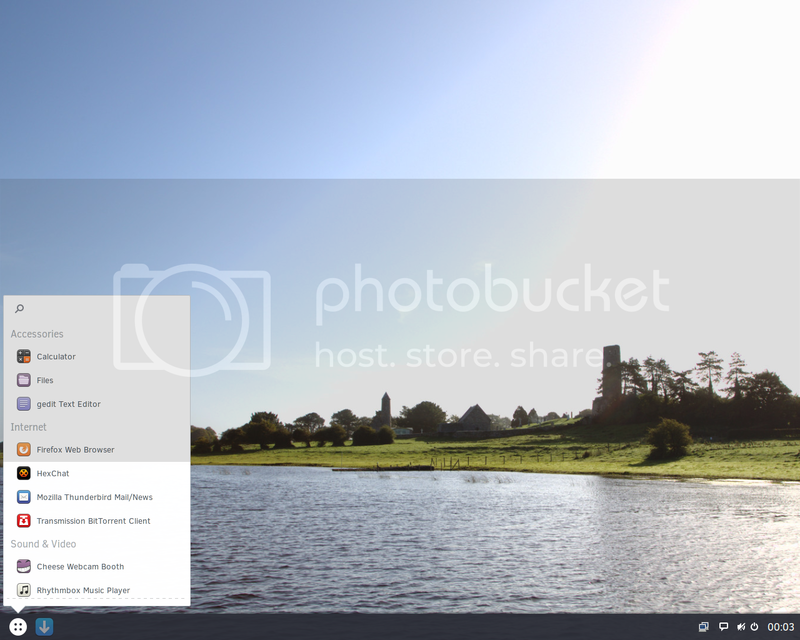 It's best to stick to the file manager that comes by default with your desktop environment. The reason is, that full-blown file managers are deeply interwoven with the desktop environment for which they were designed. That means that they can cause problems after installation in a "foreign" desktop environment: they simply engrain themselves too deeply in that "foreign" desktop and tend to clash sometimes with its primary file manager. Exceptions are stand-alone simple file managers like GNOME Commander and Midnight Commander. They don't interweave themselves with the desktop environment at all, and only do their primary limited task: basic file management. 6. Third party installation scripts are all dangerous: some are acutely risky, some a little less. But you'd better avoid the lot. Below I'll describe some of the most common dangerous scripts. 6.1. Ultamatix is the worst of the bunch. It will irreparably damage your system. Note: this horrible project seems to be dead, but it has been resurrected from the grave before... So for the time being I won't remove this warning. When you've already used this script, a clean re-installation of Ubuntu or Linux Mint is the only solution. With previous formatting of the root partition. Furthermore, Ultamatix is essentially superfluous: everything it does, you can do also in the safe official way. With only a little extra effort. 6.2. Ubuntu Tweak and Ubuntu Sources List Generator are also dangerous. Don't use them! With them, you can add several PPA's and third party software, without it being clear where everything comes from and without being asked for a verification key. 6.3. Ubuntuzilla is more limited in scope, and poses no security risk. But you'd better avoid this one as well. It may cause strange malfunctions in Firefox, because the Ubuntuzilla version of Firefox is "original upstream software" which isn't completely adapted to and tested for your Ubuntu version. With Ubuntuzilla, you bypass the entire system of tweaks and quality checks that the Ubuntu developers apply to Firefox.... This endangers the stability and reliability of Firefox. 7. Don't enable the software repository "proposed", unless you're a tester and don't value a stable system. In Linux Mint this repo is called "romeo", but it's the same risk. The source "proposed" ("romeo" in Linux Mint) is very dangerous. It contains unstable and buggy software that hasn't been improved and tested enough yet. Stay away from it! When you do enable this source, your system will definitely become unstable sooner or later. The only solution then, is a complete clean re-installation of Ubuntu or Linux Mint. With previous formatting of the root partition. Optional components: Unstable packages (romeo) should be disabled. - If not installed yet: first install Synaptic Package Manager. 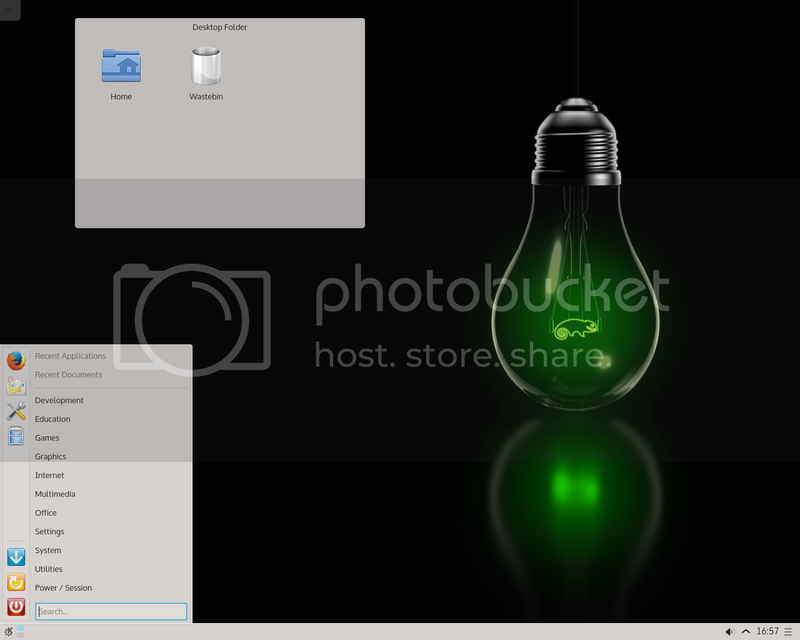 Synaptic is present by default in Linux Mint, but not in Ubuntu. So use the Ubuntu Software Center to install Synaptic. Click on the grey Ubuntu logo (Dash home). As said: make sure it's disabled! The only reason for the existence of trusty-proposed (Ubuntu) and romeo (Linux Mint) source is use by testers. Those testers help to hunt for bugs in potential updates, before those updates are being delivered to the users of Ubuntu and Linux Mint. 8. There are three software repositories that are safe enough to enable them in your system, but nevertheless have to be handled with some care: Backports, Partners and Independent. 8.1. In Linux Mint, the "backport" repository is disabled by default, and it's best to leave it that way. In Ubuntu however, the software repository of "backports" is enabled by default. But with a lowered (harmless) priority, so that you can only install software from it when you consciously choose to. 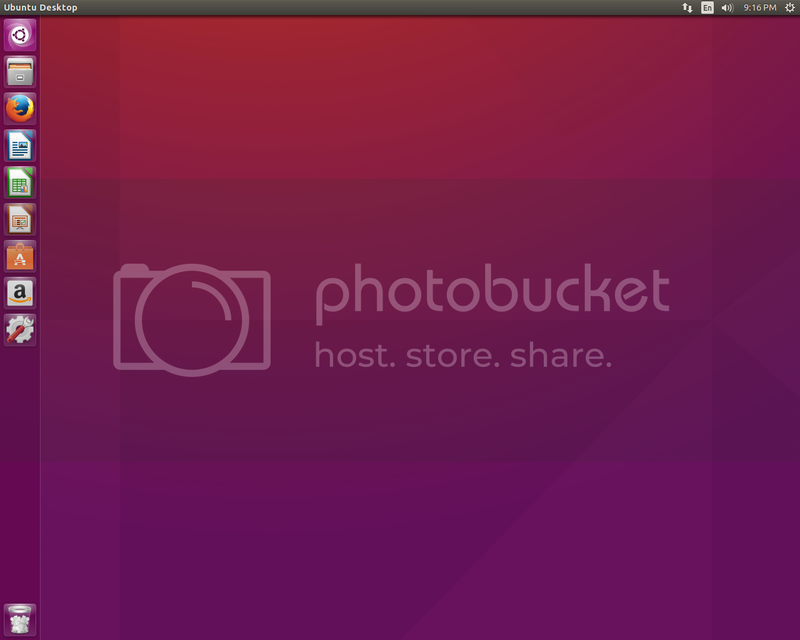 - If not installed yet: first install Synaptic Package Manager by means of the Ubuntu Software Center. - Click on the grey Ubuntu logo (Dash home). The "backports" source is much less risky than "proposed", because it holds software that's stable in itself. But this software hasn't been tested for your version of Ubuntu. Therefore it may still diminish the stability of (parts of) the system. Although this repository has been enabled, it has therefore been issued a low and harmless priority. My advice is: keep backports enabled in Ubuntu, but be cautious when using it. Now you'll see that the priority of the Backports repository is pinned to 100 for everything except the translations (in a localized system). Other repositories (and the translations in Backports) have the default priority 500. This means that you have to explicitly choose to install the backport version of a package, if another version of that package also exists in a non-backports repository. The advantage of this is, that if a package is only available in Backports, you'll be able to install it without modifying anything else. Settings - Software Sources - tab "Other Software"
Here you can enable the Partners repository (it's not enabled by default) and the Independent repository. This gives you access to certain software from third parties, such as companies (the partners) that have entered into an agreement with Canonical. So far, so good. But these repositories may pose a security risk, because they aren't always being updated adequately.... Updates come from the partner companies and independent developers, not from Canonical: Canonical only does the packaging for them. Those partner companies and the independents don't always pay as much attention to providing security updates as they should. For example, in the past the Partners repository contained an outdated and insecure version of Adobe Flash Player (whereas the regular Multiverse repository contained the secure version, under another name!). Same thing with certain localized versions of Adobe Reader (which is a highly attacked target by malware). So it's better to use this repositories with some care. By all means do enable them, but don't put too much trust in the security of the software you install from it. 9. Even when you never use a particular default application: don't remove it. Reason: the default installation is an intertwined system that's dependent on shared supporting files, which makes the operating system run stable. When you remove a default application, you run a risk of seriously damaging the system. With some default applications this risk is bigger than with others, and with some there's no risk at all. But it's best to avoid this risk altogether. If you want to, you can remove an unused application from the menu, but don't remove it from the system. This limitation applies only to those applications, that are part of the default installation of Ubuntu or Linux Mint. Applications that you've added yourself, can be removed safely. 10. Probably not all of your computers are equally important to you. Some computers are real production machines, or "work horses" that you always must be able to rely on. Other computers are more or less like "play boxes"; fun to have, but of no vital importance. It's important to treat both kinds of computers differently. Do not experiment on a production machine, no matter how tempting it may be to try out something new. Only do your experiments on the play boxes or on a dedicated testing machine. Because otherwise you may end up suddenly with an unusable computer, and for a production machine that's often a small disaster. The best approach is, to install only LTS versions of Ubuntu on production machines. Because LTS versions are extra good and reliable. All Linux Mint versions are LTS nowadays (starting with the 17-series), so with Mint you're always OK. When you want to upgrade a production machine that's already running on an Ubuntu LTS version, to a newer LTS version, then only do that after the appearance of the first point release ("Service Pack 1") of that newer Ubuntu LTS version. The best practice is, to split your computer work force in three: work horses, play boxes and testing machines. - on the testing machines you do your wild experiments, and your bug hunting in alpha and beta editions of the development versions of Ubuntu or Linux Mint. Note to self: A good WINE is a damn fine choice, whether software related or not! Other than WINE, I think either Zorin or Mint (currently at "Rafaela", or release 17.2, but offered in 4 distinct sub-flavors) are probably the best Distros and have simple, low-overhead GUIs which are close enough to Win7's look and feel that most will adapt to it quickly. A good starting point would be similar to a dual boot setup whereby one can quickly load a non-Windows OS and browse/search without apprehension. As we become increasingly familiar with Wine, Zorin or Mint, we'll soon find ourselves adding additional software to address our daily processing needs. Before long, we'll be loading Windows as the exception, and not the rule. I have been impressed with the ease at which Zorin 9 and now 10 have installed themselves and correctly identified just about all the hardware I've thrown it into. Two different (Dell, HP) laptops and three Desktops (Sony, HP and Dell). The biggest issue I have had thus far is with a couple of aftermarket USB 3.0 adapters which, frankly, even Windows had trouble with and which rely on OEM drivers... doubtful at best and have provided me with a history of "mixed" results when put to serious use under W7. My experience with Zorin thus far is that it is particularly well suited to older systems, where Windows will sometimes refuse to recognize or address Legacy components. and check out all 4 versions offered right now - MATE, Xfce and KDE for your own best match to whatever you'll be running it on. I LIKE THE DIRECTION THIS TOPIC IS TAKING.......... and I hope M$ doesn't! Congratulations, you have installed a brand new Linux Mint 17.3 Rosa, with the Cinnamon desktop! What's best for you to do, first of all? - the maybe useful (part 3). It's quite a list, but it'll give you a polished, nearly maintenance-free operating system that you'll be able to enjoy for years to come! Plus it's also a crash course in the use of Linux Mint. Note: you'll find only relatively safe tips and tweaks here, because I think that the stability and reliability of your operating system should never be endangered. This website is serious about Linux Mint, so my approach is conservative. I try to mention it whenever some risk is unavoidable, so that you can always make a balanced decision.